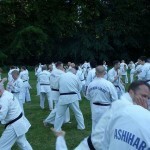 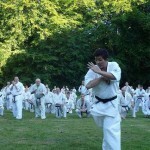 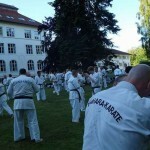 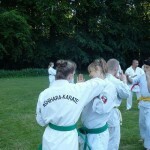 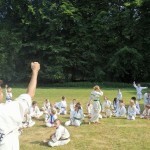 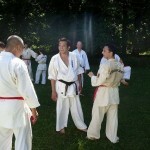 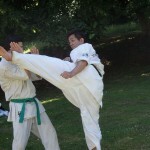 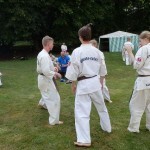 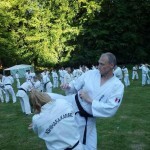 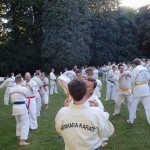 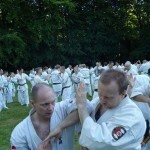 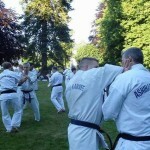 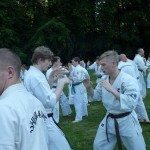 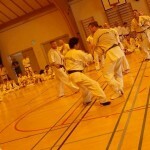 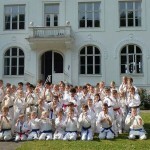 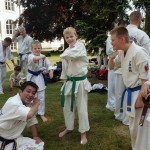 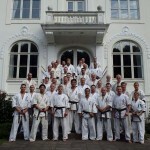 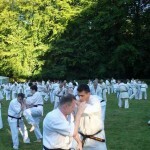 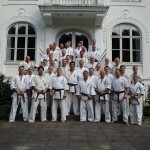 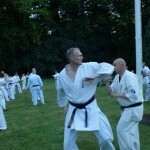 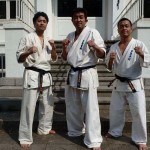 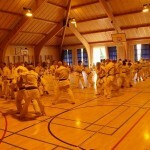 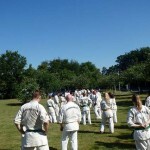 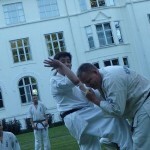 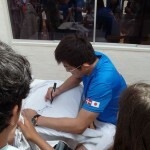 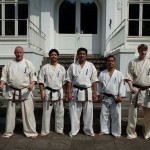 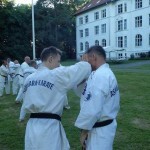 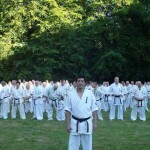 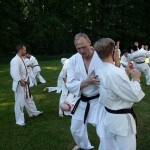 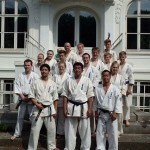 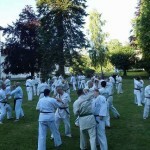 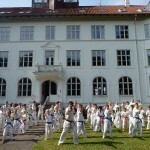 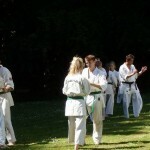 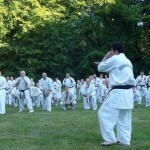 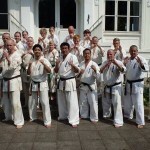 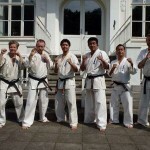 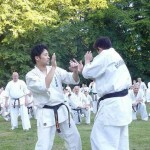 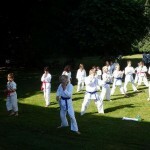 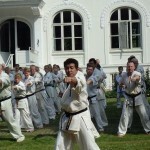 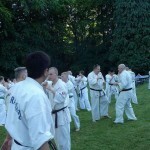 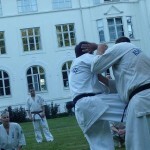 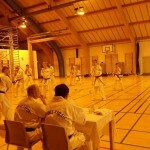 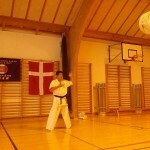 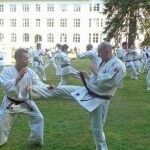 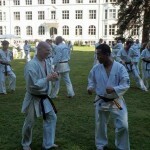 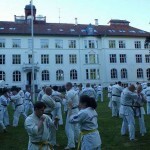 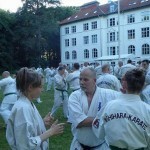 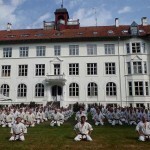 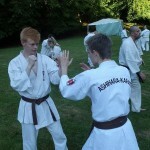 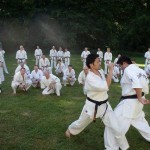 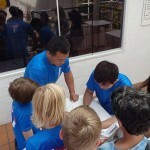 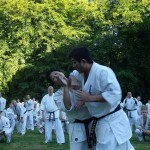 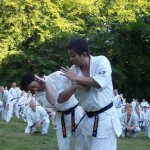 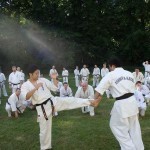 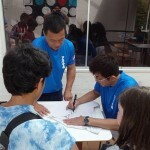 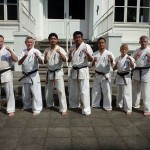 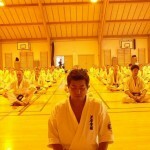 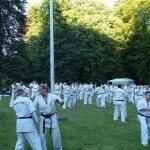 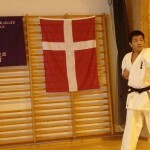 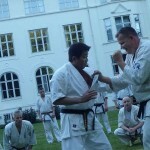 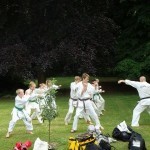 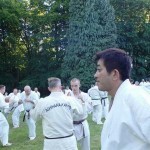 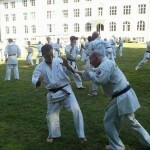 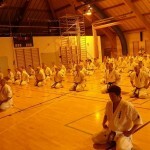 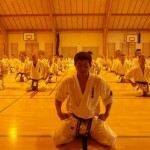 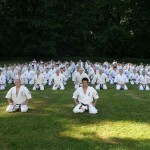 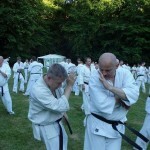 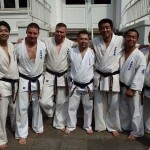 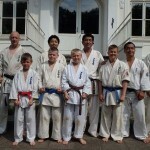 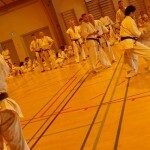 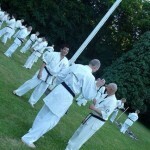 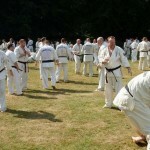 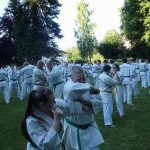 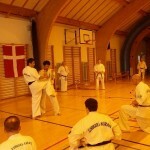 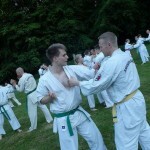 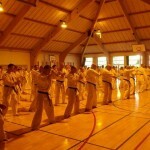 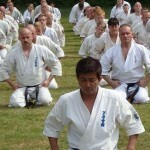 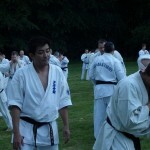 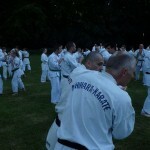 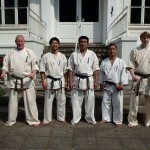 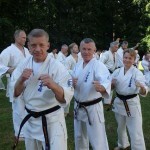 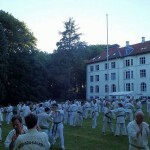 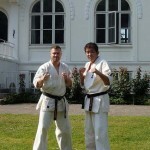 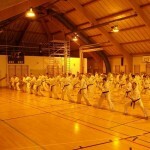 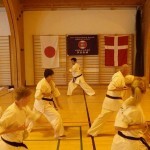 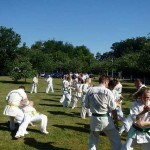 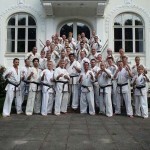 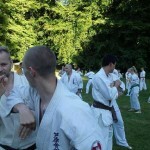 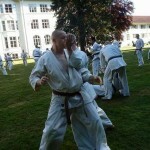 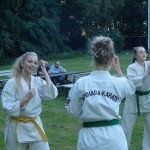 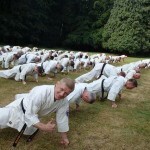 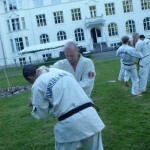 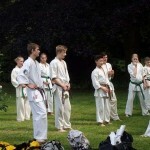 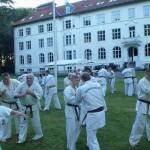 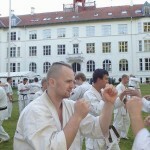 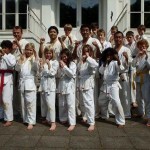 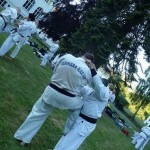 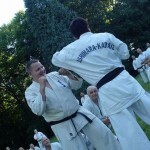 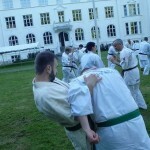 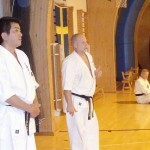 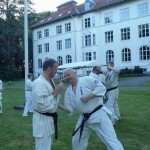 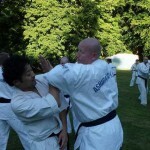 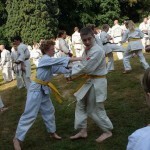 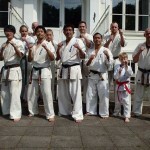 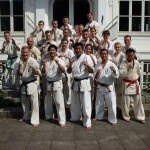 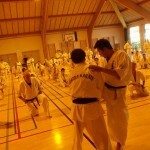 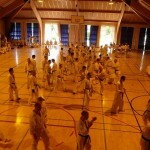 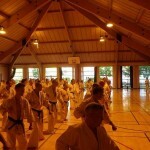 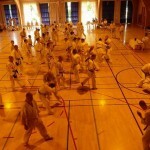 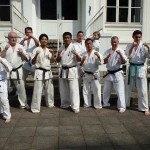 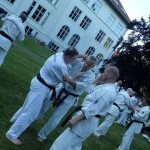 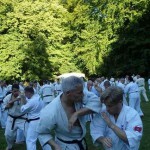 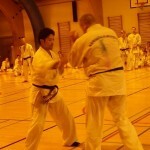 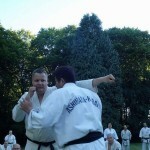 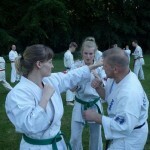 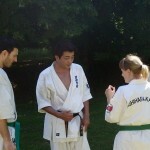 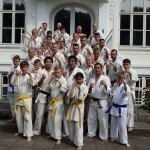 This year again Kancho Ashihara visited Denmark for the international Summer camp. 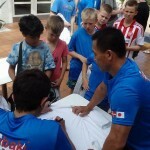 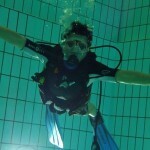 The camp was held at the Bosei sports centre, in Prasto. 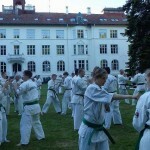 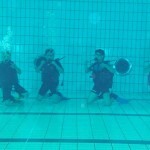 The camp started July 2 and finished July 5 with trainings 3 times a day. 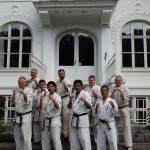 There were participants from Japan, Norway, Sweden, Russia, Romania, Tieck republic , Spain, Dubai and Denmark. 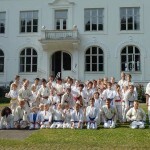 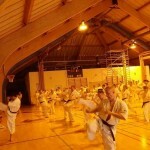 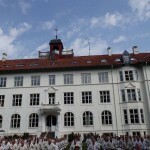 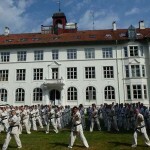 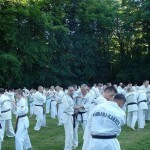 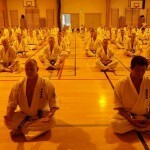 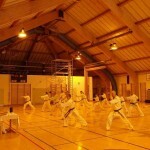 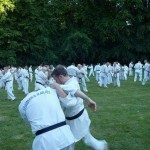 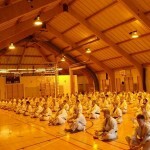 All in all there were 180 students and Branch Chief´s at the camp. 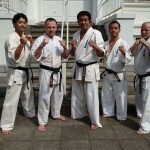 Kancho had two Japanese members with him, one of his Branch Chief´s , Kosa sensei and his leading trainer at So Honbu, Hara Shihan Dai. 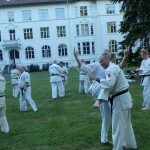 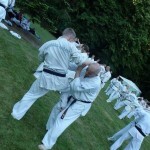 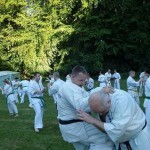 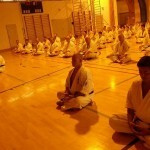 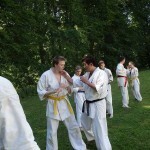 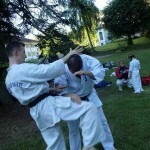 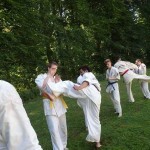 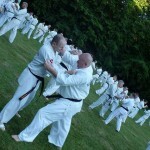 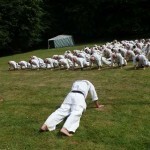 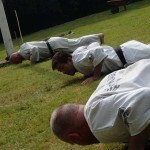 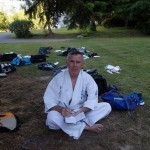 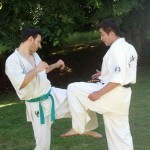 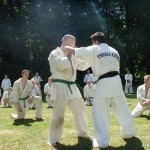 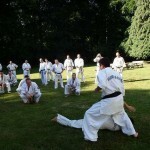 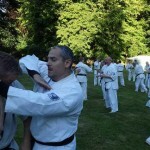 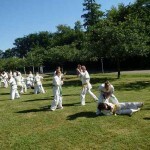 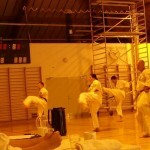 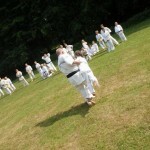 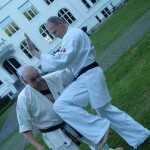 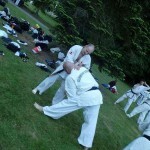 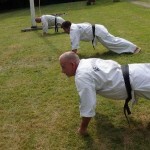 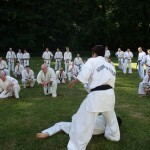 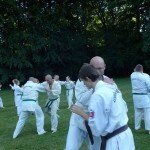 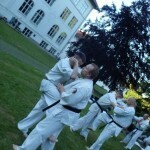 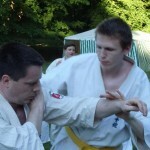 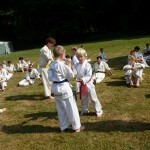 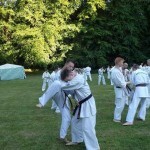 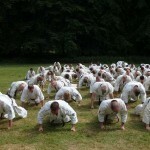 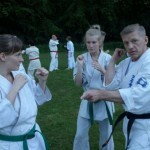 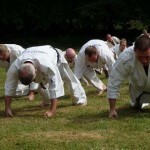 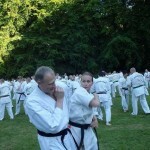 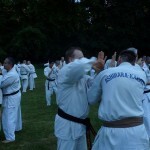 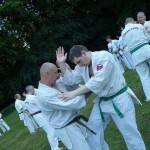 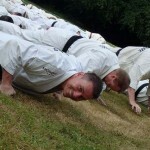 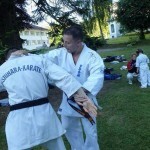 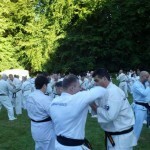 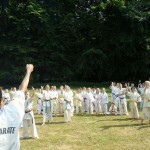 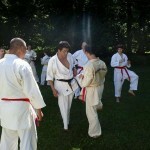 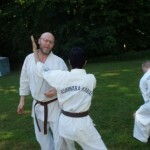 During the trainings Kancho showed his newest ideas, about basic´s and selfdefense sabaki. 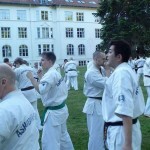 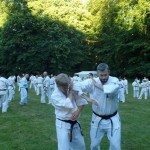 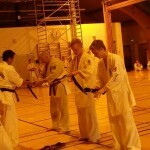 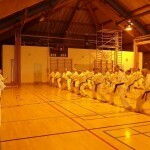 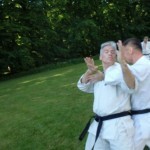 Saturday a grading test was held, witch Kancho over looked. 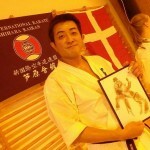 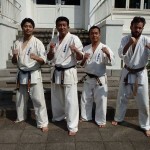 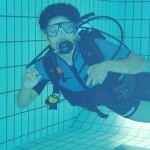 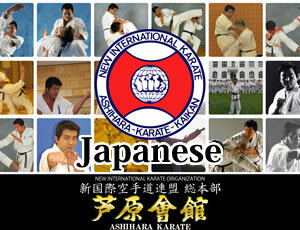 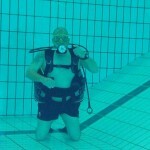 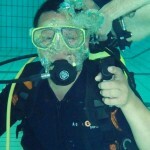 Kancho stated that the technical level of the students was very good. 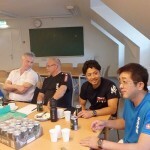 At a special training Kancho handed out presents to all Branch Chief´s, since he has now been leading NIKO for 20 years. 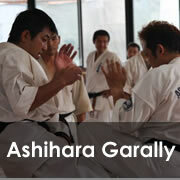 He had made a special towel, for the oration, with inscriptions off this anniversary. 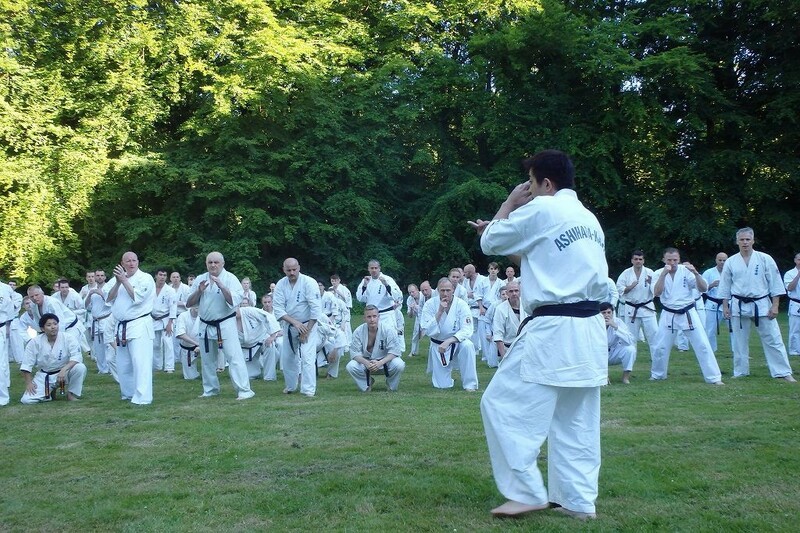 All members expressed that the camp had been a great success,and they were all looking forward to see kancho in 2017 again. 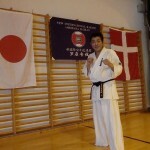 Kancho promised that he will be back for the camp in 2017.